[Free Pattern] This Single Crochet Blanket Is The Simplest Blanket Pattern Ever! 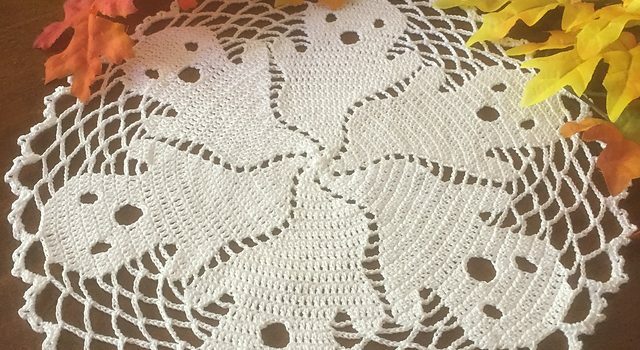 For those who hate doing picots but always felt like they were necessary in making doilies, here is the great news: there are no picots necessary when making this Halloween doily. Boo! 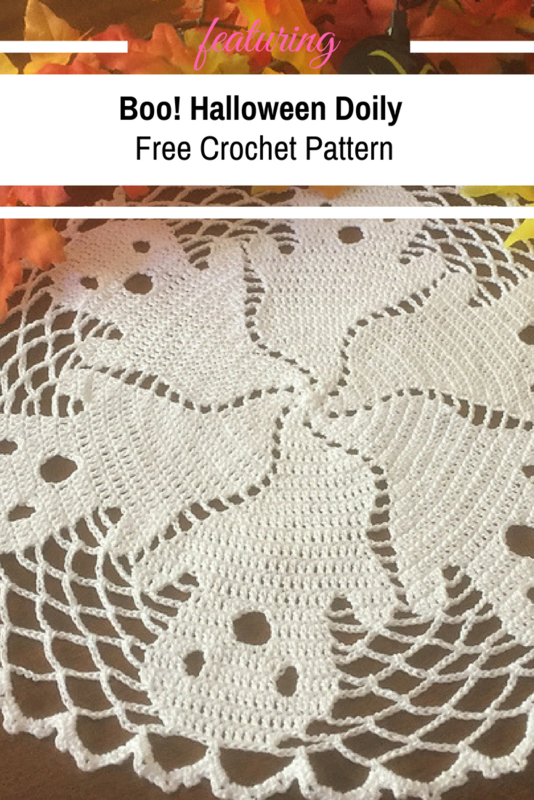 by Marsha Glassner is a spectacular doily crochet pattern with a very cute and imaginative design, a beautiful holiday decoration that looks like lots of fun to work . These little ghosts want to help you decorate for Halloween! Written for a difficulty level of advanced beginner to intermediate. 25 rows. Using #10 thread with a #7 hook it will measure 13-14 inches across. No picots. Check out the original source for the Boo! Halloween Doily Free Crochet Pattern with all the directions and full written pattern at: Marsha Glassner. Thanks to Marsha Glassner for the article inspiration and featured image. The mouth isn’t there after crocheting. Have tried twice. Is there something left out of directions. Eyes appear ok. This was so cute to crochet. I show it to all my friends. Thank u for the beautiful pattern.